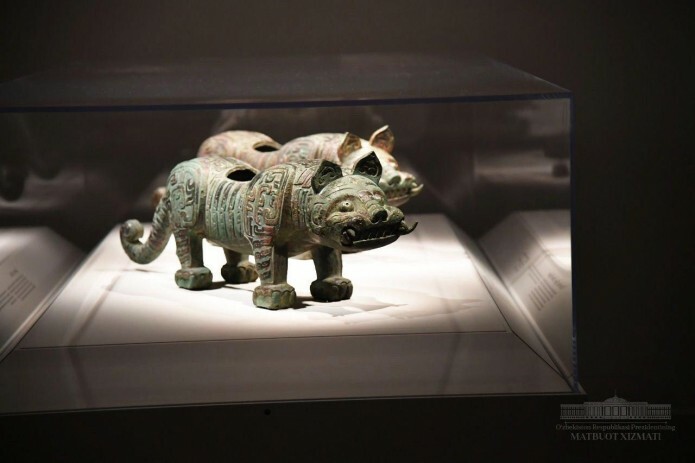 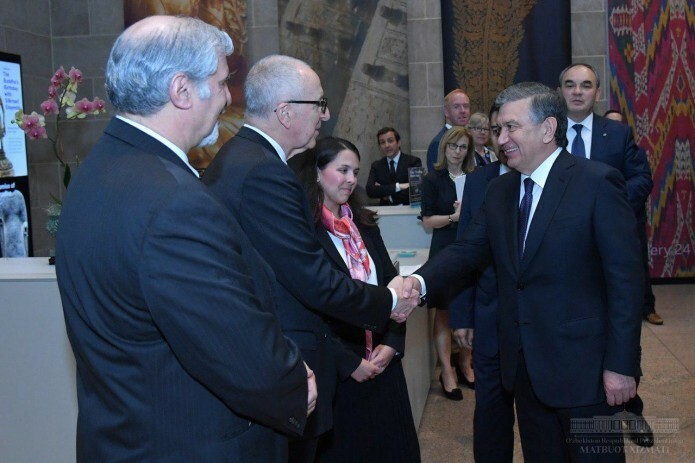 Shavkat Mirziyoyev inspected the miniatures and manuscripts stored in the Central Asian section, inquired about the history of products of Uzbek applied art exhibited here. 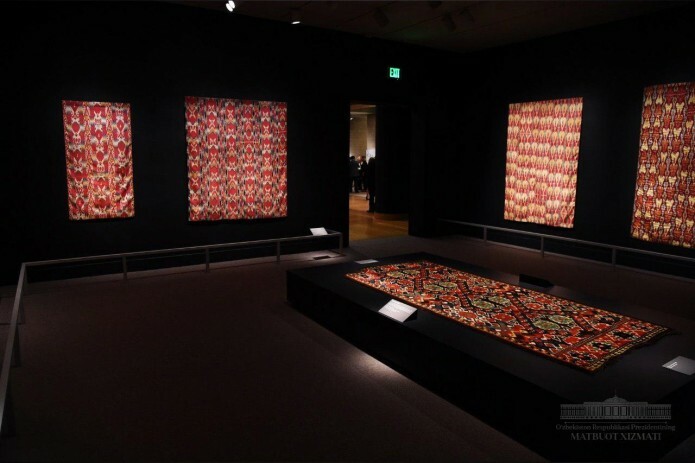 An exhibition of ikats from Uzbekistan was opened on the eve of the visit of the President of Uzbekistan in Arthur M. Sackler Gallery, Washington, DC. 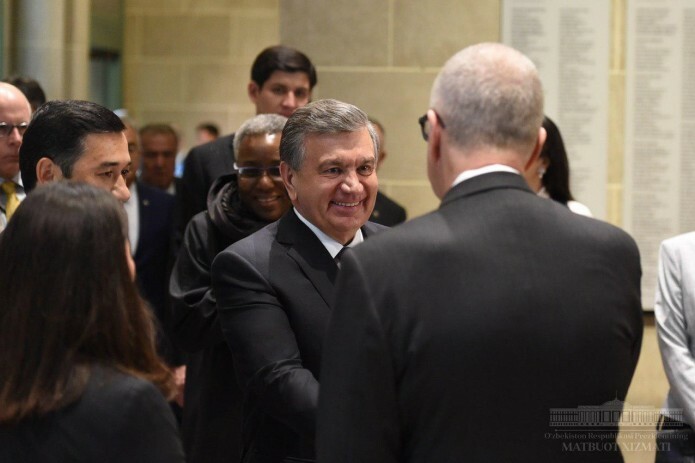 President Shavkat Mirziyoyev got acquainted with this exhibition. 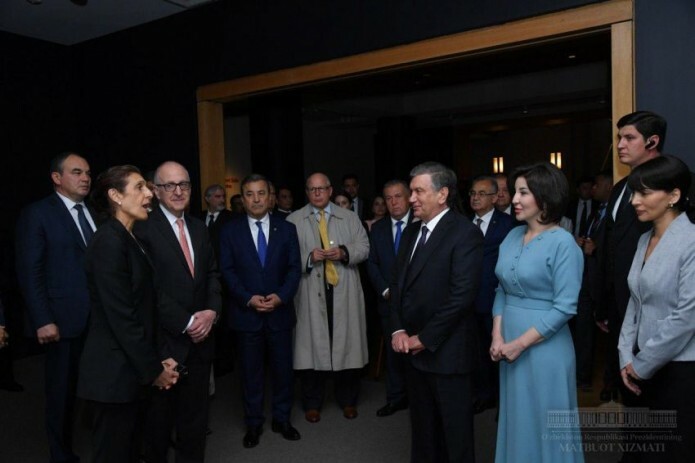 This was reported by the Press Service of the President. 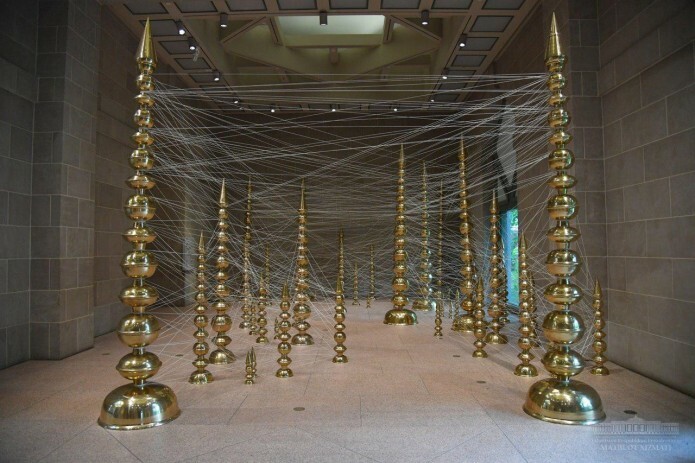 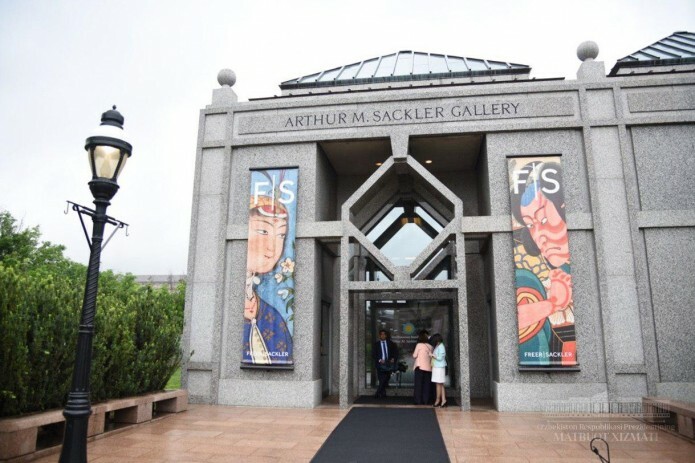 The gallery was created by Arthur M. Sackler, a fan of Oriental arts. 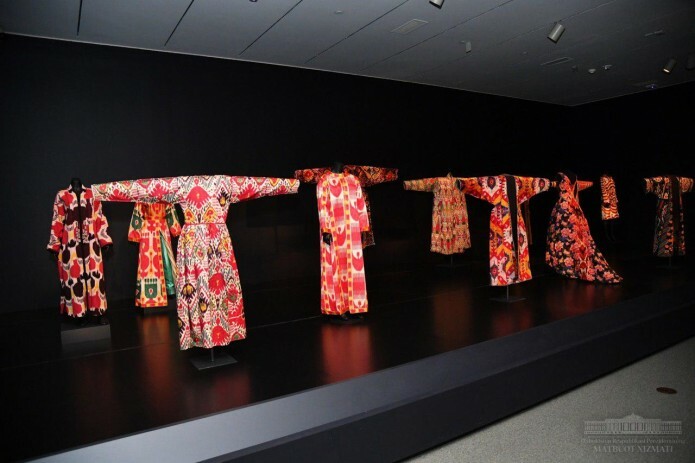 Samples of art from the East countries, including people of Central Asia, are exhibited here. 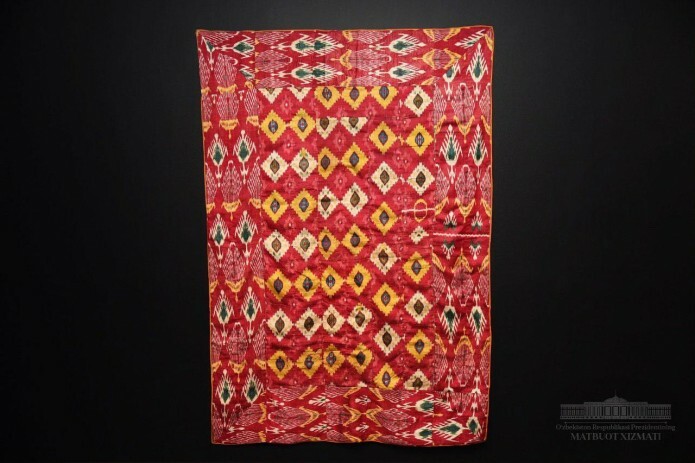 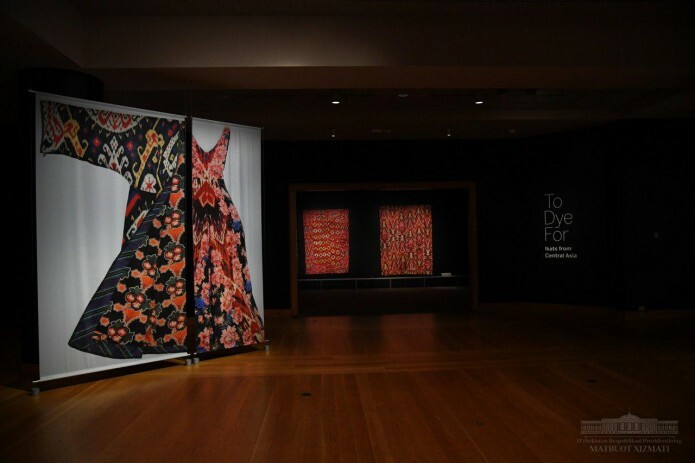 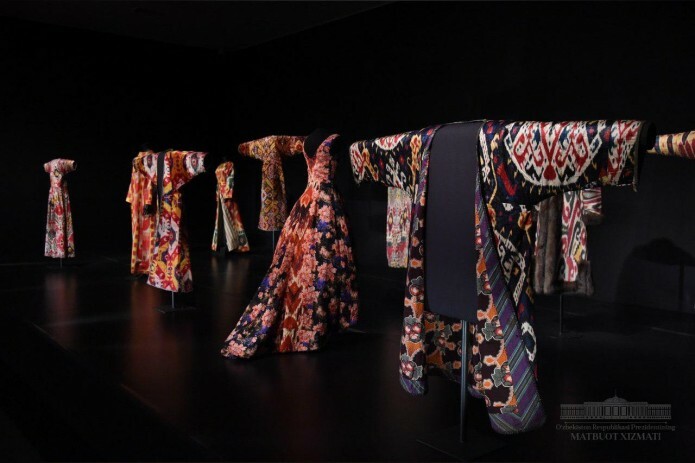 The exposition of the exhibition which is underway these days includes a collection of ikats, collected by the Harvard University scientist Guido Goldman, as well as costumes from the American designer Oscar de la Renta.